ClareVision (CV) NVRs do not support the default ClareVision Plus (CVP) sub-stream resolution when viewing CVP cameras with the CVP App. This affects both iOS and Android smart devices. To use a CVP camera with a CV NVR, you must lower the CVP device’s default sub-stream resolution. 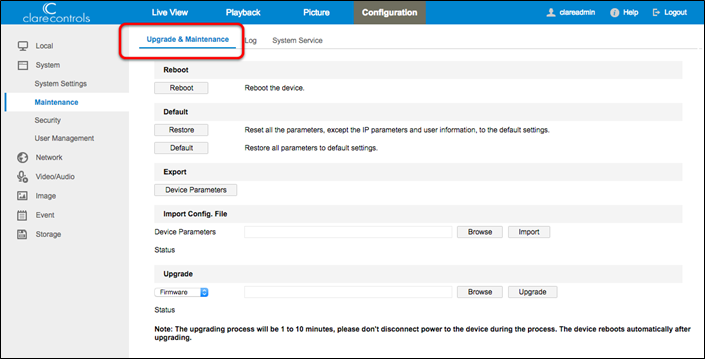 Modifying the CVP device’s sub-stream requires direct access to the CVP camera. 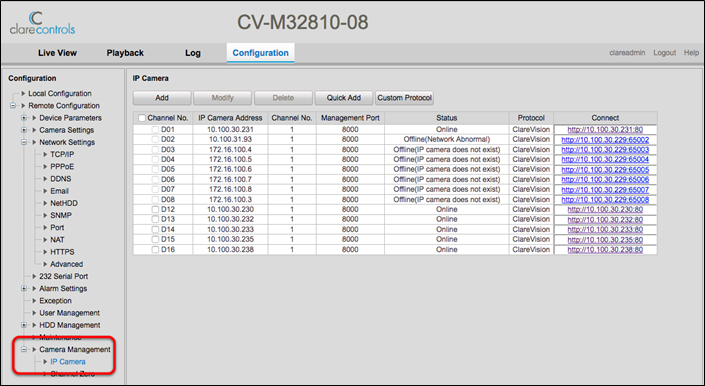 Access the camera using Virtual Host or the camera’s IP address. You will need both the camera and NVR’s login credentials when using Virtual Host. If you are not using Virtual Host, you will need the CVP Camera’s credentials. Use a recommended web-browser: Internet Explorer, Mozilla Firefox, or Safari. Note: Use Virtual Host when the camera is plugged directly into the NVR. 1. 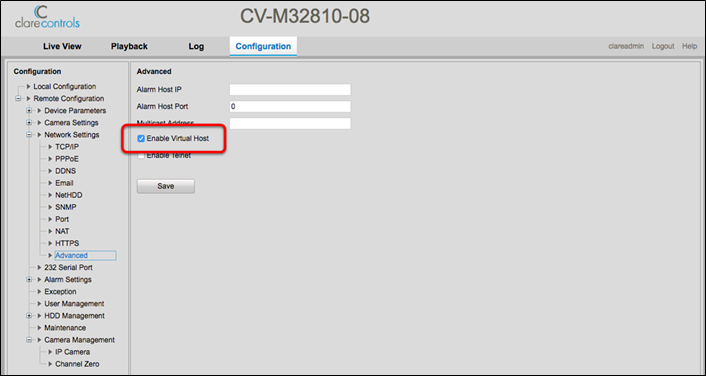 Access your NVR in a web browser, and then login using the set credentials. 3. Select the Enable Virtual Host check-box, and then click Save. 4. 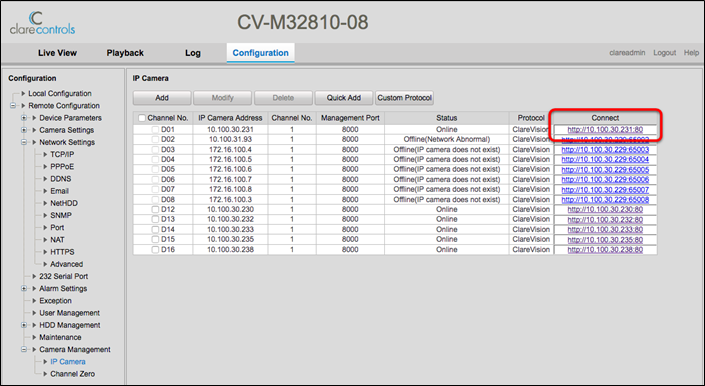 Browse to IP Camera. 5. Click the IP Camera’s Connect Link. 6. The link opens in your default browser. Login with the camera’s set credentials. Note: The camera’s credentials are created during the camera’s initial setup and may be different from the NVR’s credentials. 8. 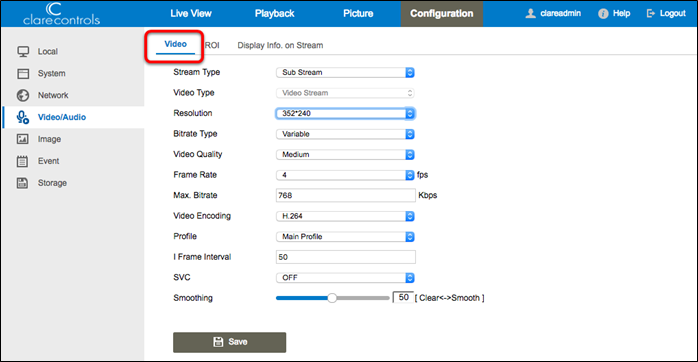 Set the Stream Type drop-down to Sub Stream, select the lowest available resolution, and then click Save. 9. Browse to Upgrade & Maintenance. 10. 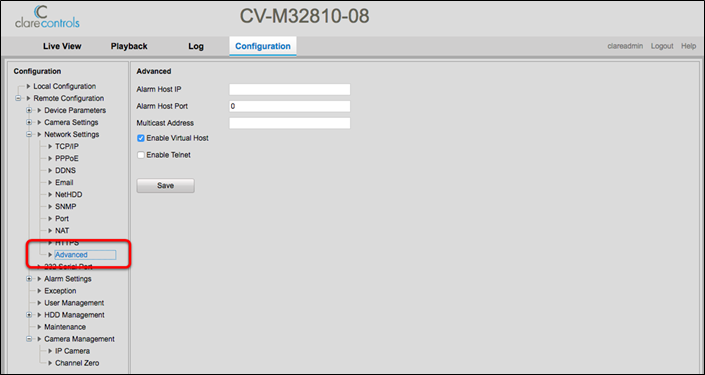 Click Reboot, and then repeat steps 1 through 10 for each CVP device connected to the CV NVR. 11. Verify that all streams are viewable in the ClareVision Plus App. 1. Access your camera in a web browser, and then login using the set credentials. 3. 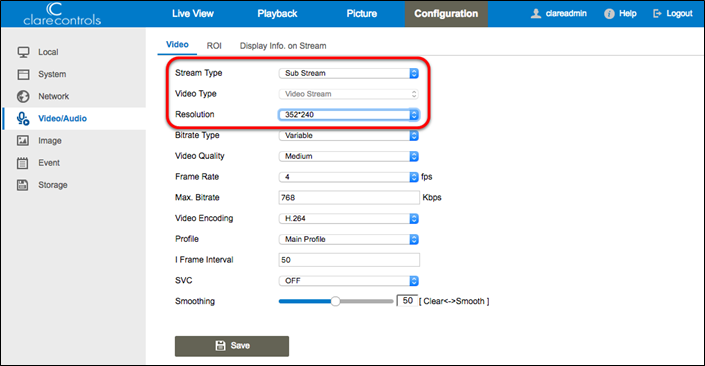 Set the Stream Type drop-down to Sub Stream, select the lowest available resolution, and then click Save. 4. Browse to Upgrade & Maintenance. 5. 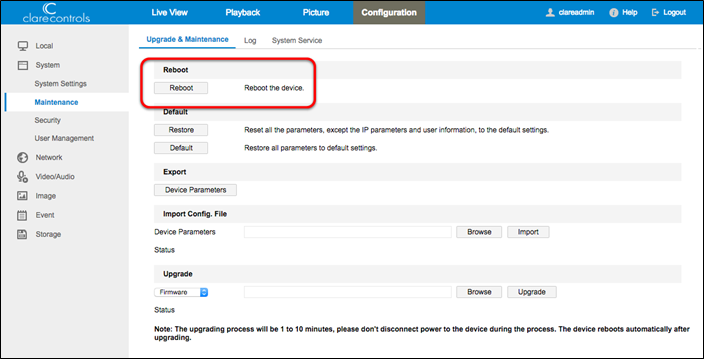 Click Reboot, and then repeat steps 1 through 5 for each CVP device connected to the CV NVR. 6. Verify that all streams are viewable in the ClareVision Plus App.